Microsoft started rolling out Windows 10 Fall Creators Update – its latest edition of Windows 10 – last Tuesday. Since then many users have tried to get the latest OS from Windows Update, but the new version just isn’t coming… While we have already shared with you three ways to get Windows 10 Fall Creators Update right away, here’s how the official rollout will exactly work and why you haven’t yet received the notification to upgrade. Following the launch of Windows 10 in 2015, Microsoft has released a handful of feature updates to the operating system. But the rollout was a mess at the start as it was riddled not only with installation issues but also compatibility problems. Since the release of Windows 10 Creators Update earlier this year, Microsoft began a targeted rollout process, releasing the new version only to a limited number of users at first. While the upgrade process is open to fans through media creation tool, the company wouldn’t send the update unless the target device has been tested for the new edition. Cable further added how the company monitors the response from early adopters, Insiders community, and its OEM partners to accelerate the release to more devices. What changes with the latest Windows 10 version 1709 is the number of devices already tested by the Redmond software maker and its partners. 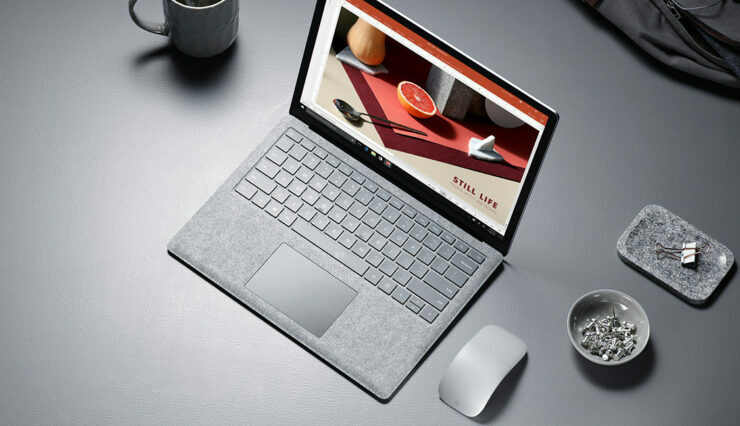 These devices include Microsoft Surface Book, Microsoft Surface Laptop, Microsoft Surface Studio, Microsoft Surface Pro, Microsoft Surface Pro 4, Acer Swift 3, Acer Predator 15, ASUS ROG Zephyrus, ASUS ZenBook Flip UX370UA, ASUS VivoBook S15 S510, Dell Inspiron 15 5000 Series 2-in-1, and some other featured products. The update, in short, is more likely to reach to you if you own a latest device as compared to those on older machines. Again, you can choose to manually install Windows 10 Fall Creators Update if you are comfortable dealing with performance or functionality issues that the operating system brings in the first few weeks. In today’s blog post, Cable has also advised IT administrators to follow Microsoft’s strategy and test the new OS version on selected devices and continue to deploy it further based on the results. After adding the now-customary details about the latest version being the most secure version of Windows 10, Cable also shared that with Windows 10 Fall Creators Update, the download size has been significantly reduced. Probably responding to some reports from last week that suggested that the OS leaves a footprint of 30GB after the installation (that could be cleaned up through Disk Cleanup), Cable focuses on how the update downloads faster due to its reduced size. Microsoft has already begun testing the next version of Windows 10 aka Windows 10 Redstone 4 or version 1803 that will be released in March, next year. Have you upgraded to Windows 10 Fall Creators Update? Do share what you love or hate about this latest Windows 10 version.